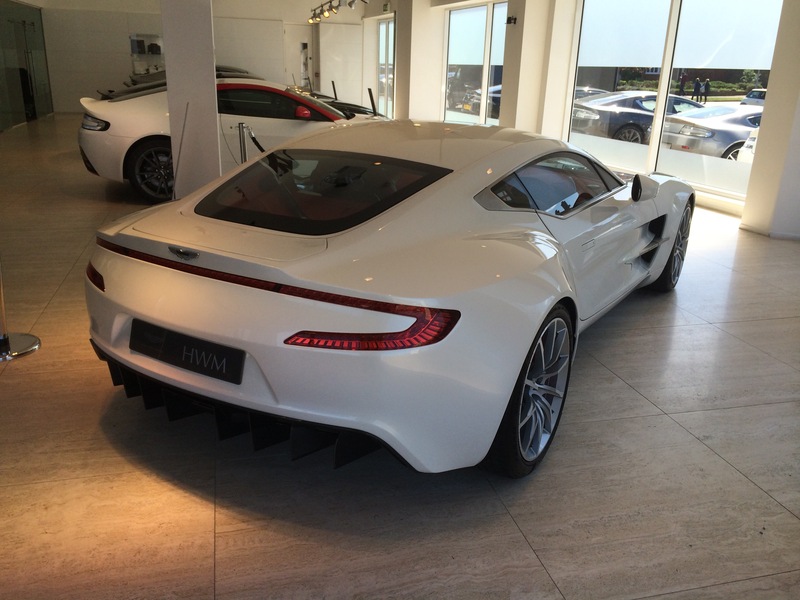 Although production of the fabulous Aston Martin One 77 ended in 2012 I spotted this lovely unregistered example for sale at HMW in Walton on Thames. This white car carried badges stating that it was the “last one” so it was presumably the last one off the production line. The One 77 originally sold for £1.2m – this example was for sale for £1.6 million. That’s some appreciation in three or four years! But what a fantastic looking car. I’m sure it’ll be worth much much more in the future. 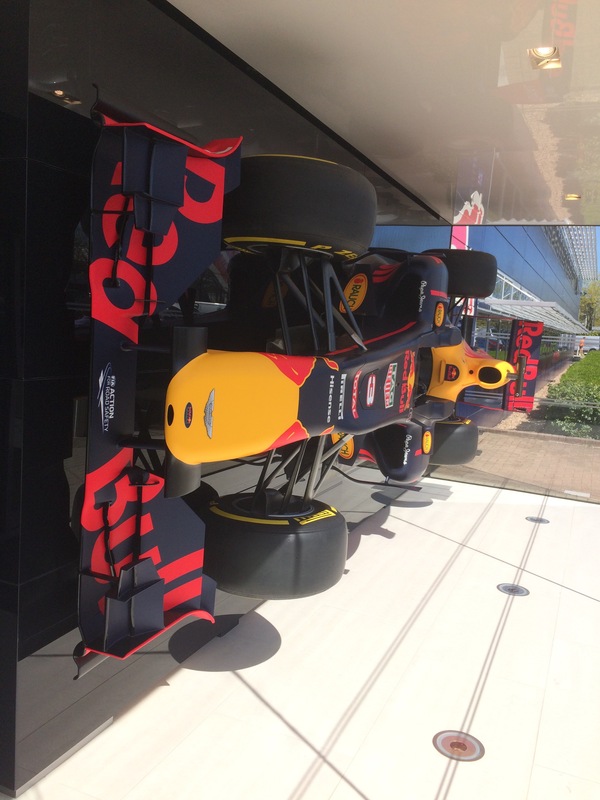 With a carbon fibre chassis and aluminium body the car weighs only 1600 kg. That comparatively light weight when coupled with a naturally aspirated 7.3 L engine pushing out 750 bhp can propel the car to 60 in 3.5 seconds and then on to 220mph. I better start saving .. 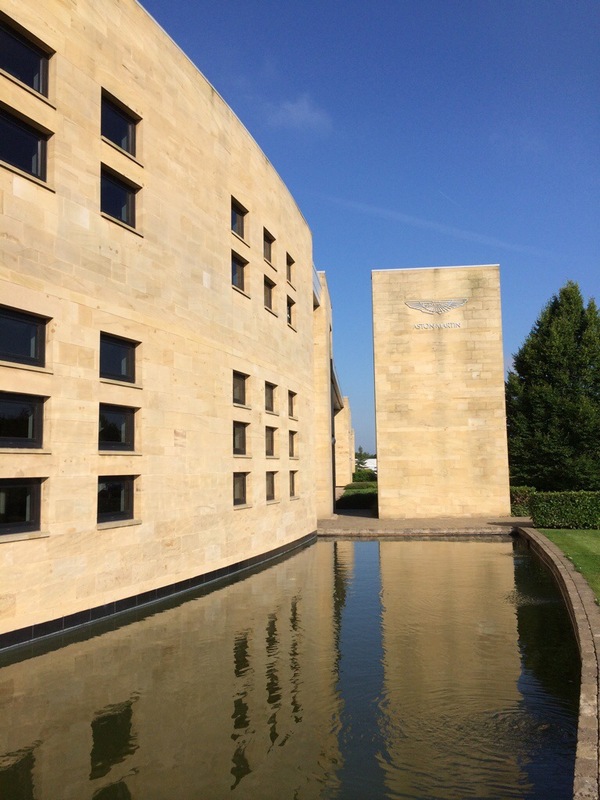 Earlier this week I had the chance to visit Aston Martin at Gaydon and to drive a couple of their cars. I have never been a particular fan of the marque. Their poor reputation for reliability, snooty sales staff and dynamic equality with my XKR have meant I have never been tempted to “upgrade” from Jaguar. 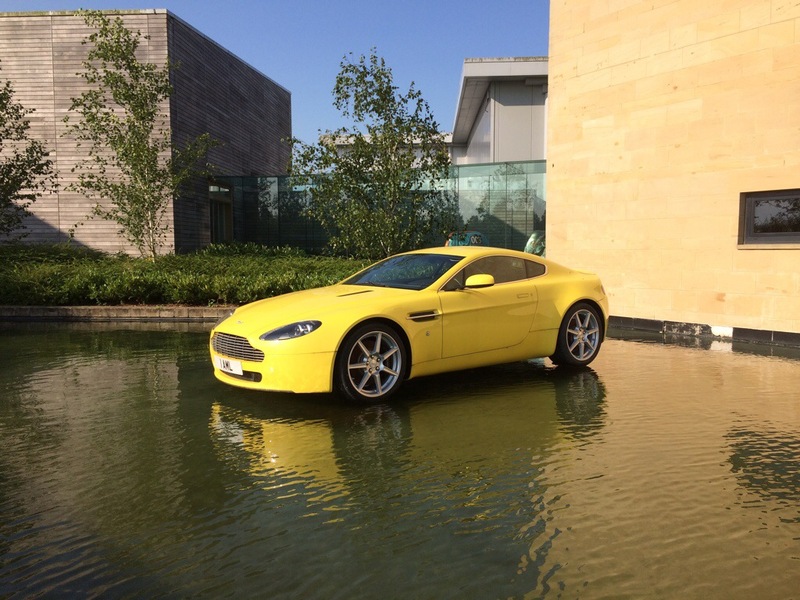 When Aston Martin moved to Gaydon 10 years ago and they made a real effort to reshape their image as a modern car company. The style of their factory communicates that. 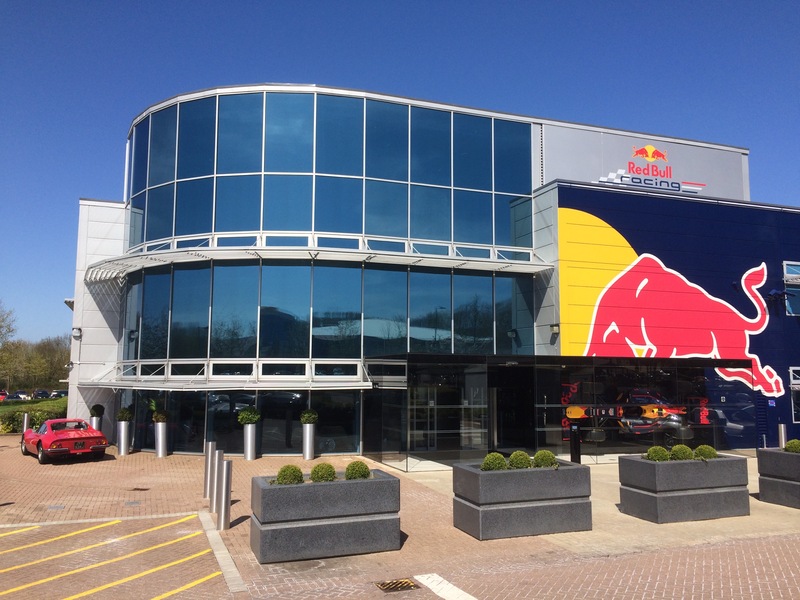 It combines striking modern architecture with clean spaces and an aura of efficiency. Not your average car factory..
Aston Martin make much of the fact that their cars are handbuilt. Certainly during a tour of the factory we didn’t see much automation on the assembly lines. In fact it seems that they make only about 10 cars per day. The people showing me around were charming and certainly dispelled my concerns over snobbishness. It was also noticeable that the staff working at the factory seemed proud to be there, which is surely a good sign. 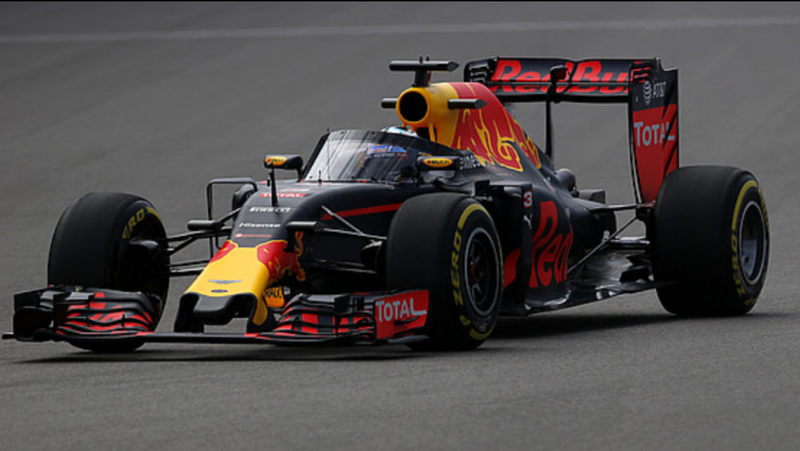 That pride in their work may explain why reliability, whilst still not up to the standards of their competitors, is much improved. 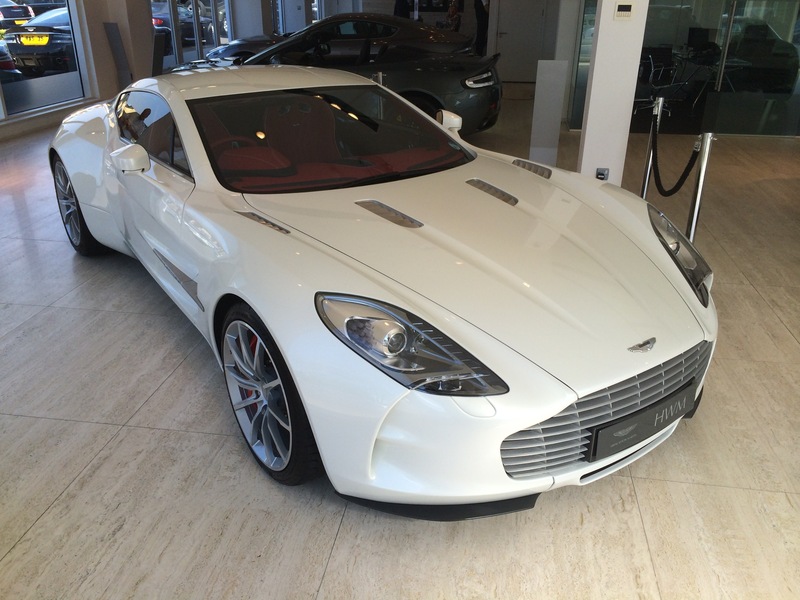 Following the tour of the factory I was able to drive a V8 Vantage and DB9 Volante. Both were good cars. The V8 felt surprisingly spacious inside but is certainly beginning to show its age. The new DB9 felt a notch up in terms of quality and the normally aspirated V12 made a fantastic sound. 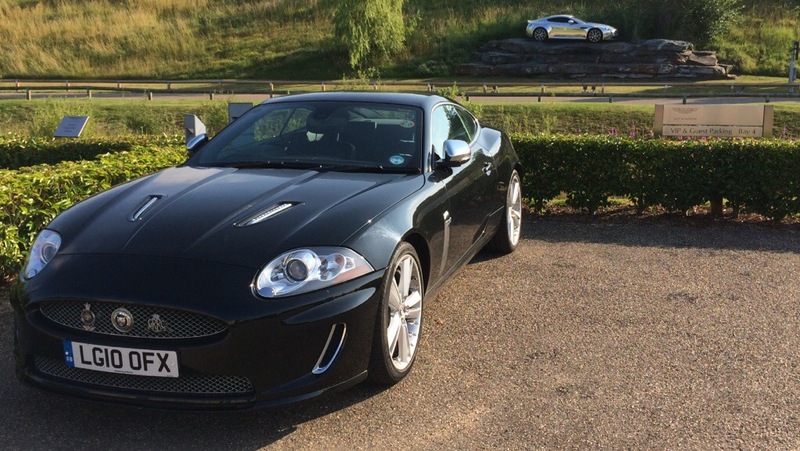 Dynamically both were a bit twitchy when pushing on, certainly more so than my similarly powered Jaguar XKR. I suspect that was more down to my style of driving rather than to any shortcomings in the car. If I owned either car I would just need to drive in a different style. 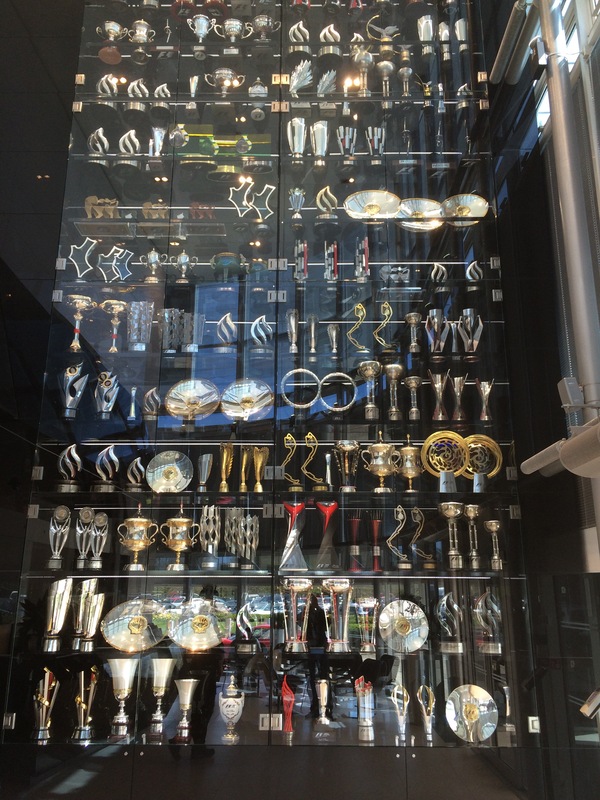 Inside the factory Aston Martin maintain a small heritage collection. 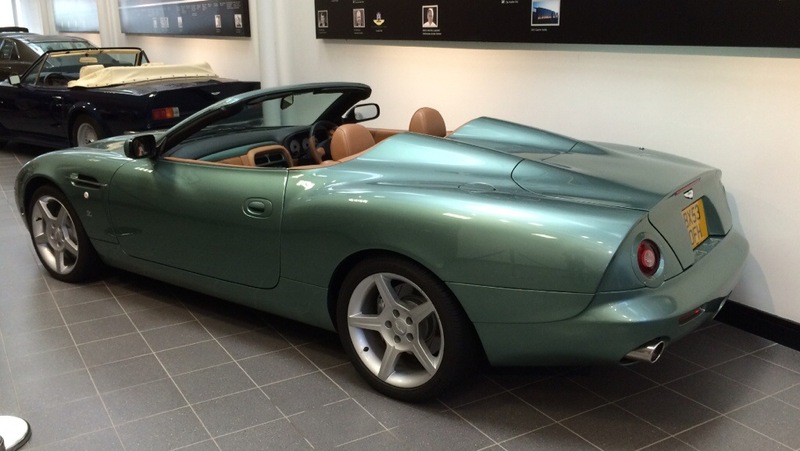 As well as Bond cars they have some of their rarer cars on display, including a DB7 Zagato Volante. I think Zagato lost their way in the 70s and that is reflected in their more recent work. Compare their efforts on the DB7 with their efforts on the DB4 (see my post below relating to Techno Classica Essen). 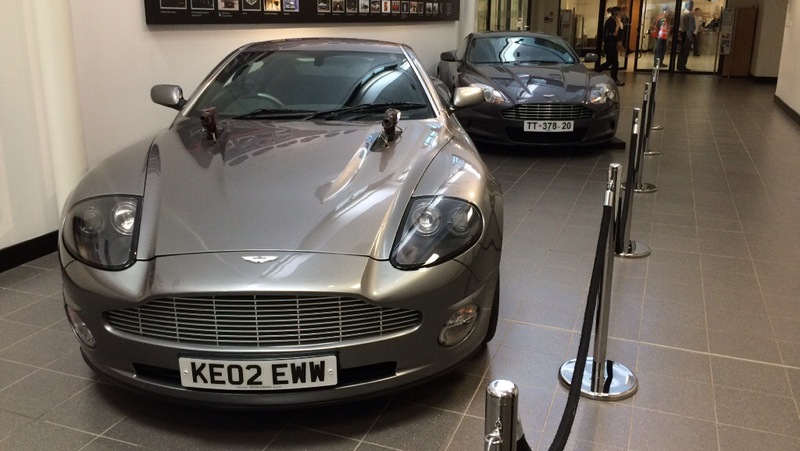 Bond’s Vanquish and DBS. Given how awful the gearbox was in the Vanquish I am surprised that in the great ice chase scene in Die Another Day the villain Chang in his XKR didn’t get the better of 007..
A rather ugly concept car.. 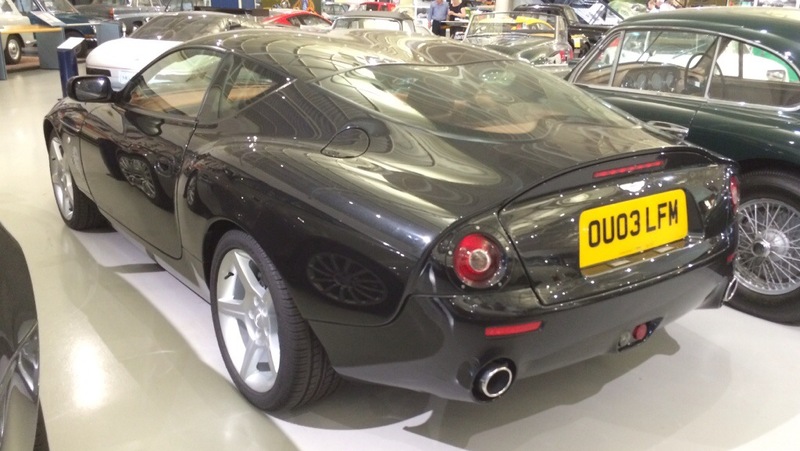 The rear of a DB7 Zagato at the neighbouring Gaydon Motor Heritage Centre. 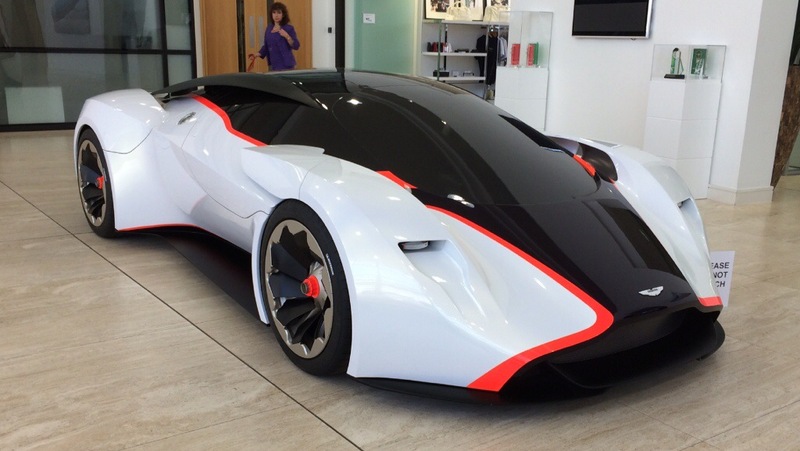 Not as attractive as Ian Callum’s original design but better than the America Roadster below. DB7 Zagato Volante American Roadster. Oh dear.